It's not very often I have the opportunity review something I consider luxurious. Then along comes the chance to try Senteurs d’Orient. I haven't used a bar soap for years, and the thought of going back to basics by trying these were very appealing to me. Now, I'm going to call myself out on something here before my husband has the chance to. I have a slight "addiction" to the scent of the first bar I tried. After the first time I'd showered with the Tuberose aromatherapy scent, we were driving somewhere, and he looked over at me like there was an issue. I think it was the fact that I kept randomly smelling my skin. It's entirely possible this has occurred each time I've showered with the Senteurs d’Orient. These Hammam soaps are made with essential oils. In case you didn't know, a Hammam is a Turkish bath! Think...luxurious. That's going to be the word of the day my friends. Artisans make these in Lebanon, where they are hand-mixed and dried for 10 days. The aromatherapy scents are created by master perfumers in Grassse, France. What more could you ask for in a soap?! What a perfect combination in one bar. When I took my shower, the soap gave me a very rich lather (I completely skipped a wash cloth). Unlike the liquid soaps using the Senteurs d’Orient I haven't been left with a film on my skin. It felt extremely clean! Much different than my usual, drab showering experience. Now let me tell you about how Senteurs d’Orient gives back! "With a belief that education is the key to empowerment, Senteurs d’Orient is an official partner of the United Nations Development Program for Women’s Education in Lebanon and donates 10% of the proceeds from every product to help Lebanese women." What an amazing way for a woman owned and run company to give back to the women who are part of her heritage! Orange Blossom/ Fleur d’Oranger: Infusing the fresh Mediterranean air with soft sensuality, Orange Blossoms uplift the spirit with a clean and floral yet woodsy perfume. Jasmine of Arabia/ Jasmin d’Arabie: Among all the legendary Jasmine flowers on the Mediterranean coast, the Jasmine of Arabia imparts the most exquisite and sublimely soothing scent. Amber/ Ambre: Revered across the Middle East for its rich and luxurious palette, Amber’s seductive notes of musk and wood evoke the majesty of the Orient. Rose of Damascus/ Rose de Damas: A voluptuous bouquet embodying the essence of femininity, the Rose of Damascus is at once fresh and stimulating, graceful and elegant. Tuberose/ Tubereuse: Celebrated throughout the Middle East, Tuberose, also known as the mysteriously nocturnal "Queen of the Night”, entices with a warm and sensuous fragrance. I'm excited to offer one of my readers one of their soaps that retail for $38! I think I'd like to try the Orange Blossom. Really 'heady' scents like rose or jasmine usually give me a headache, so I have to be careful what I choose. I'm betting the orange blossom would be wonderful! 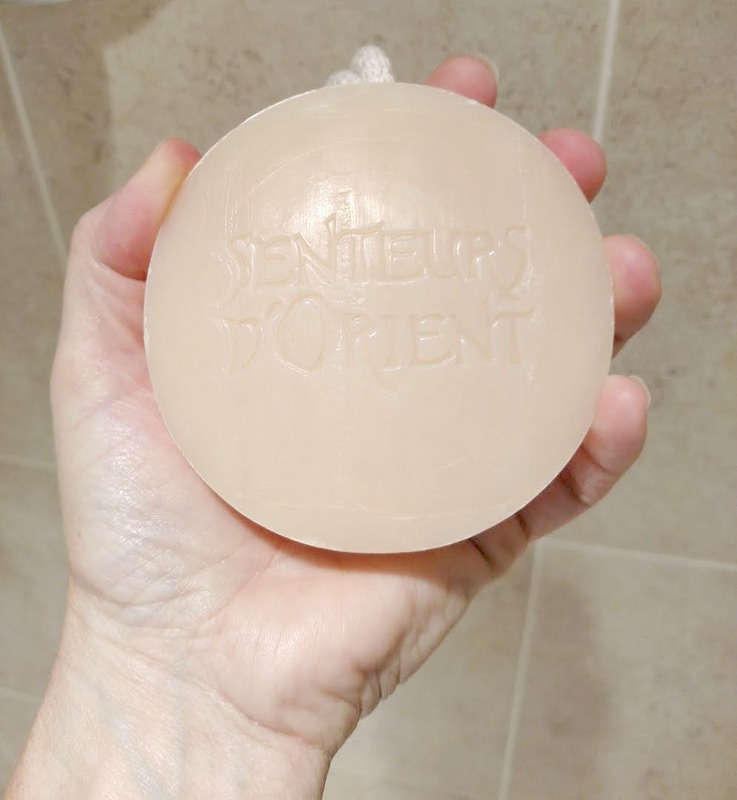 I'd love to try the SENTEURS D'ORIENT Hammam Soap - Orange Blossom. 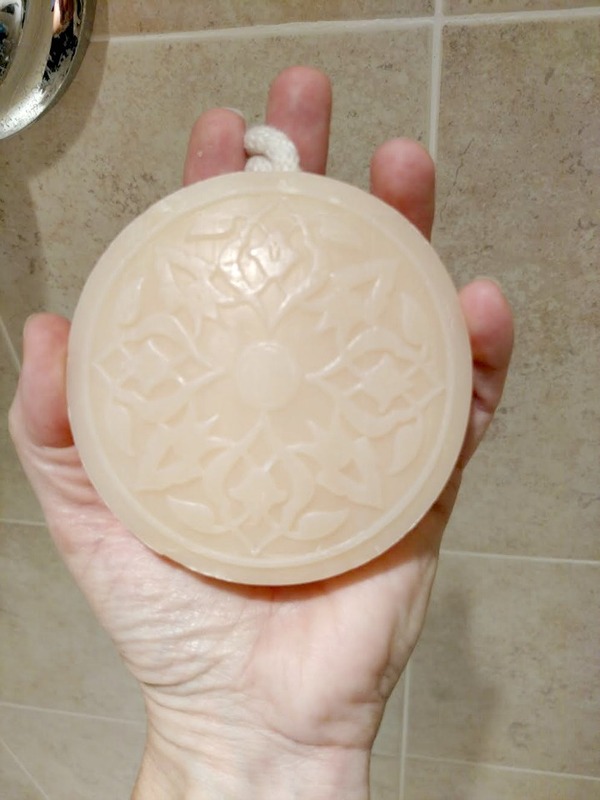 This looks like a nice soap...love the size! The orange blossom sounds best to me! 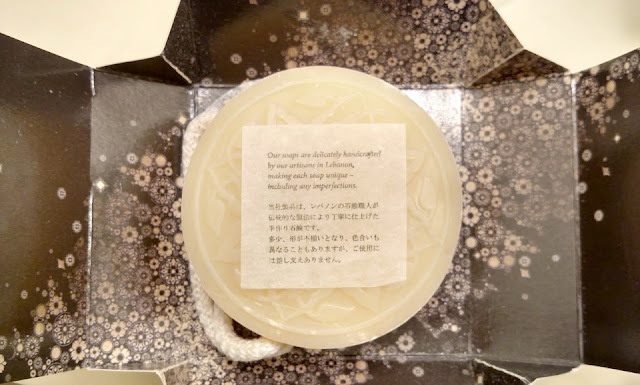 I would love to try their Hammam Soap - Tuberose too! Orange blossom! That sounds nice! I would love to try the Orange Blossom. Thank you for the great giveaway. i would love the Rose of Damascus it sounds lovely! The Jasmine of Arabia sounds good! The Orange Blossom would most likely be my favorite. I always look for orange scented soaps and they are really hard to find! I would really like the Hammam Soap - Amber. The color makes it really unique and I love the smell of roses, win win. Would love to try the Orange Blossom. I'd would like to try the amber soap! Thanks for the chance! I like the Orange Blossom. Orange blossom for sure! Amber would be nice too. I'd like to try the Amber soap. I would love to try the Jasmine of Arabia! Sounds so nice! I like the Hammam Soap - Amber. I'd like to try this soap in their collection: Hammam Soap - Orange Blossom. I would LOVE to check out the orange blossom! They all sound great, wish I could afford them. I would like to try the Rose of Damascus Soap. I'd like to try the Hammam Soap in Amber. I would like to try Jasmine of Arabia and Orange Blossom. I think The Jasmine Of Arabia sounds nice! I would just adore the Orange Blossom, I am sure of it! 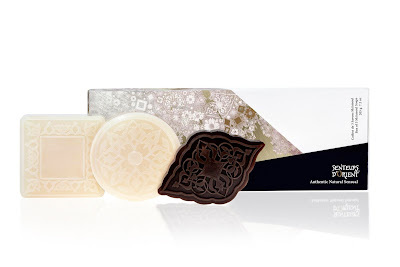 I would like to try the SENTEURS D'ORIENT Hammam Soap - Orange Blossom. I would like to try the Orange Blossom. I would like to try the Amber soap. I love a good musky scent! I want to try their Rose of Damascus soap. I would like to try the orange blossom, they look like fantastic soaps. I would like to try the Amber Soap. I would like to try the SENTEURS D'ORIENT Hammam Soap - Jasmine of Arabia soap. The Orange blossom sounds amazing. I would like to try the mint tea soap. I'd love to try the Amber! I'd like the Hammam Soap - Jasmine of Arabia.